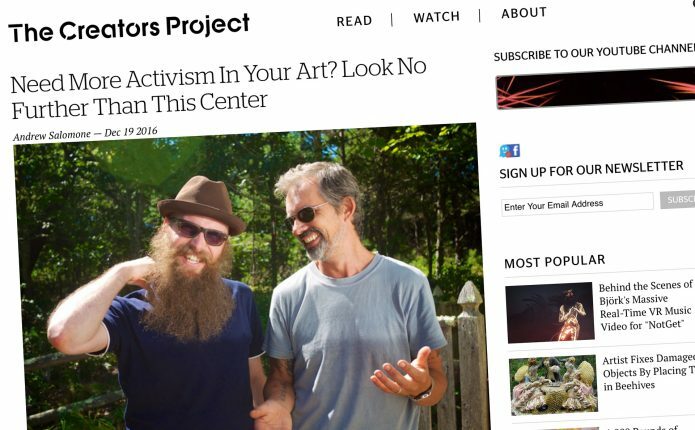 The Center for Artistic Activism was profiled on The Creators Project this week. A lot of artists might be thinking about how to incorporate more political activism into their practices right about now, and if you’re one of them then you’re in luck, because there just happens to be an organization that exists for that specific purpose. The Center for Artistic Activism (C4AA) is the brainchild of artist Steve Lambert and activist Stephen Duncombe, a.k.a., “The Steves,” and was born out of their mutual frustration over the lack of imagination and innovation in grassroots movements. Read the whole story at their site.